I always feel lucky this time of year as thanks to my Mum being from the US, I get to eat all of the classic Thanksgiving dishes. 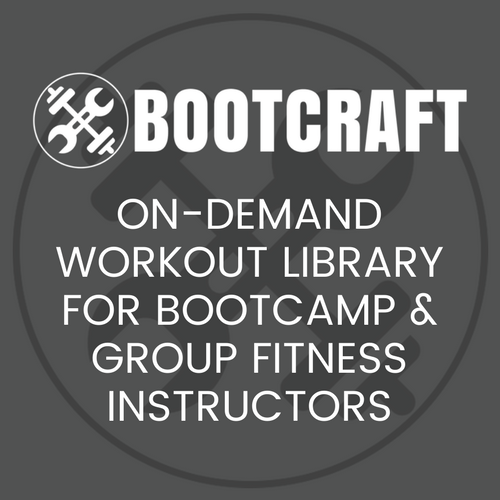 I also get my bootcampers in the mood by running this workout with them. This workout looks like it has a lot of set up, but it’s really quite simple. I’ve just been very thorough with my description. Get clients into groups of 4 with a similar fitness level. Assign each team as level 1, 2 or 3. Level 1 being for beginners, level 2 for intermediates and level 3 for advanced. Teams will aim to score as many points as possible inside the workout time..
For each completed Fantastic Five drill they get 1 point. They must score their first 5 points by completing each station once, but then may complete any of their choosing. Teams complete this trio of exercises together each time before attempting a Fantastic Five. They should be super thankful for lunges and push ups after a few rounds of these. Teams do the version appropriate to their assigned fitness level. Task: Run the hill to your cone and back. A windy path down a hill that takes around 90 seconds from top to bottom and back to top. Adjust for a hill you have access to. Set a red cone at the bottom, a yellow cone 3 quarters down and a green cone half way. Task: Bear crawl out and back. Set up a green cone 15m away and a red and a yellow cone at 20m. Level 3 do forwards bear crawl out and reverse bear crawl back. Task: Complete tennis ball suicides. Clients take it in turns grabbing one tennis ball at a time. Once all balls are brought in client take it in turns taking balls back out. This equals 1 round. Task: Complete suicide runs with a medicine ball and burpees. This drill works like a regular set of suicide runs (run to first cone and back, then to second cone and back, etc). The twist is two-fold. 1) Campers do this in pairs, so one runs while one stays. When the runner gets back they then go. 2) The runner runs with a medball overhead and does a medball burpee when they turn around at the cone. A circuit completed the required number of rounds. I know that as trainers one of the most time consuming, and at times energy draining, tasks we do is planning out our sessions. Over the past 6 years I’ve gotten my planning method pretty much perfected. No more staring at blank pages willing an idea into existance, I follow a step by step method to plan great session after session. This Tuesday (Monday if you’re in the US and Canada) come join me for a free live masterclass where I’ll share how I do this.